Helping the people of Kabubbu in Uganda to maximise the potential of their land is fundamental to the Quicken Trust’s ambition to bring hope to a village devastated by poverty and disease. New farming techniques supported by a British food distribution company, Graze, and others are helping raise crop levels dramatically. Kabubbu is very lush and fertile. The soil is a rich red colour, producing a wide range of fruit and vegetables for villagers to consume or sell. There are two growing seasons a year, there’s plenty of rain and the temperature remains between 18 and 30 degrees Celsius. Most houses in Kabubbu have a small plot on which the householders can grow crops. 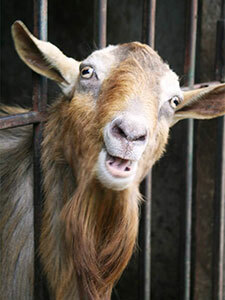 Some also have space to keep a cow, pigs or goats or to run a small poultry farm. In recent years dozens of villagers have improved their animal husbandry and horticulture skills through the Adult Education programme at the Kabubbu Library. A model farm has also been built across several locations to teach best practice. Better agriculture has wide benefits. It means bigger incomes as villagers sell surplus crops and piglets, kids, chicks or calves; and much better nutrition for families – reducing hunger and malnutrition among children which improves their chances of success in school. Dramatic crop improvements are being seen by villagers who are embracing techniques pioneered by an organisation called Farming God’s Way and supported by Graze. 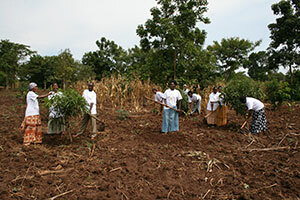 Farmers attend the Graze School of Farming in Kabubbu which is funded by Graze customers through voluntary donations. Here they have learned about crop rotation, irrigation, composting and mulching. 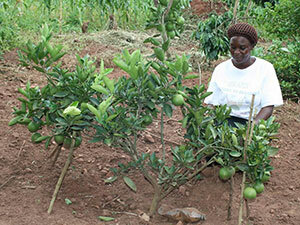 They have also been given resources such as fruit trees and seeds. Farming God’s Way has seen spectacular increases in yields. Local trials with maize have found that a 6m by 6m plot can produce up to ten times the normal yield if the methods are followed. Over 160 have been trained and a further 100 are waiting for their training opportunity. More trials of other crops are now planned. After that, Quicken, with the support of Graze, will be setting up the Graze School of Farming Excellence along with allotments so that more villagers can benefit from the techniques. The implications for the people of Kabubbu are huge. Most householders have access to a 6m by 6m plot. Greater yields will mean families not only have enough to eat but there’s plenty of produce left over to sell to generate an income.